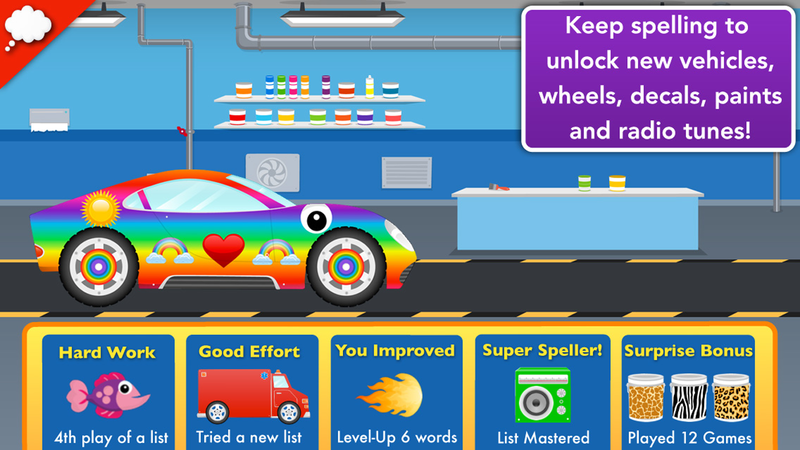 Children love spelling in this engaging 'build and spell' game. 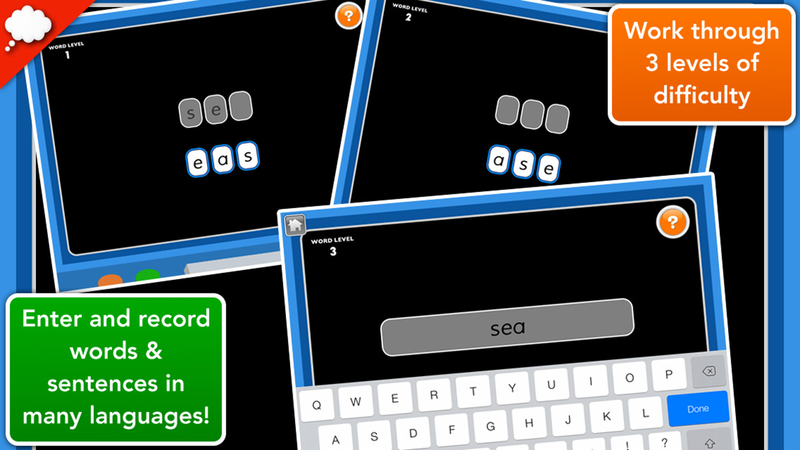 Parents love how easy it is to add custom word lists and see children's progress. It's great for weekly spelling lists, learning new vocabulary, and spelling bee practice. Ages 4-8. 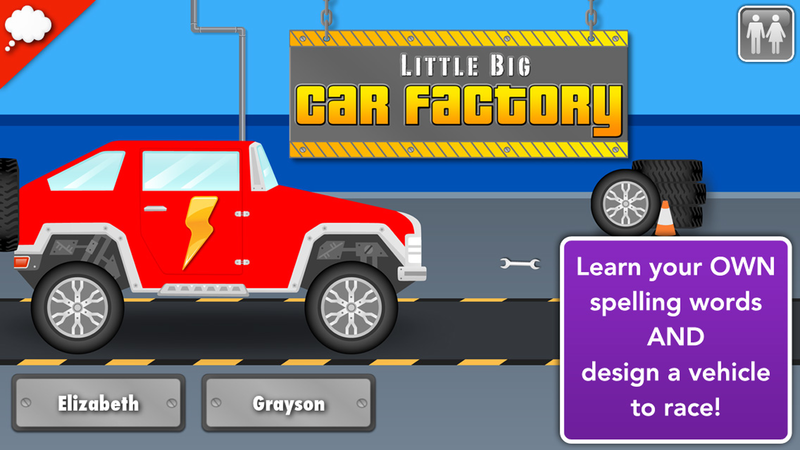 In the Little Big Car Factory, players become super spelling car designers! After selecting a vehicle to customize, they will spell words to gain access into each of the Design Labs at the factory. They will select from a variety of flashy paint designs, snazzy wheels, fun decals, and groovy radio tunes before taking it out for a spin on a non-violent race course that is different every time. The simple, uncluttered interface makes it easy to set up word lists for your children. 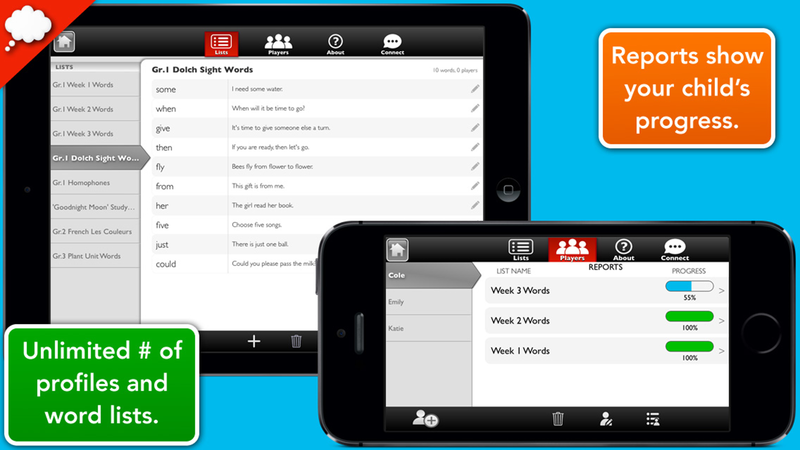 You can also add context sentences and record your own pronunciations. Be sure to set up your child's profile & word lists on the device they'll be using. Player profile data & lists cannot be shared with other devices at this time. This app is designed to help kids learn and practice new words. Since it is not a testing app, we have not included the option to disable the player's [spelling] Help button on the basis that repeatedly seeing and hearing the word will contribute to their learning. There are external links within the secured Grown-Ups area. Copyright 2011-2019 Little Big Thinkers Inc.